Like many people I love a good map. And when it comes to maps I'm usually of the mind that the bigger, the better (when I purchased a map of the United States, I bought the largest I could find... about 11 feet by 8 feet in area). The same could be said for my map of the London Underground*. In my office at home I have a "Tube Map" that is about 4 feet by 3 feet. There's no doubt that the map of London's subway system is one of the coolest modern maps ever designed. So, imagine how delighted my logological brain and heart were to discover this gem which became a popular meme on the Web recently. Yep, someone took the Tube Map and anagrammed all of the station names! Most of the transpositions seem to hint at something more than they really are: just rearrangements of the original letters. There seems to be a mystery behind new names like "Loony Tenets" (Leytonstone), "Owl News South" (Hounslow East), and "Ogre Awarded" (Edgeware Road). Being the industrious fellow that I am, I could not resist using my recent access to a large color plotter/printer to actually print out a hard copy of the Anagram Tube Map. Now, in my office, both maps hang on the wall; the smaller, anagrammed version can easily be compared to the real (though slightly out of date) version. * The word "underground" is one of the few words that begins and ends with the trigram: UND (UNDergroUND). Webster's 3rd lists only two others: underfund and underround. 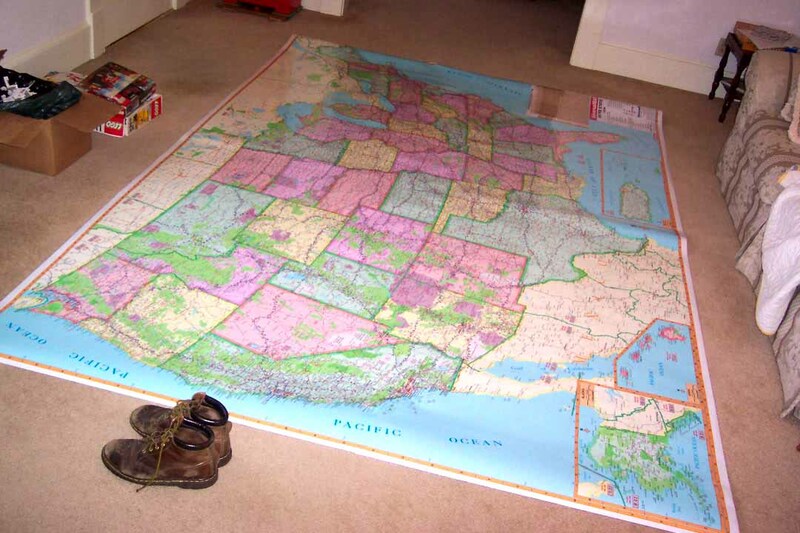 Where did you get the 10 x 8 foot map of the US? Great idea! I should do that with the "Plan du m�tro" of Paris... In fact, all maps of a "simple" bus network of a not so large town are relevant to do so.